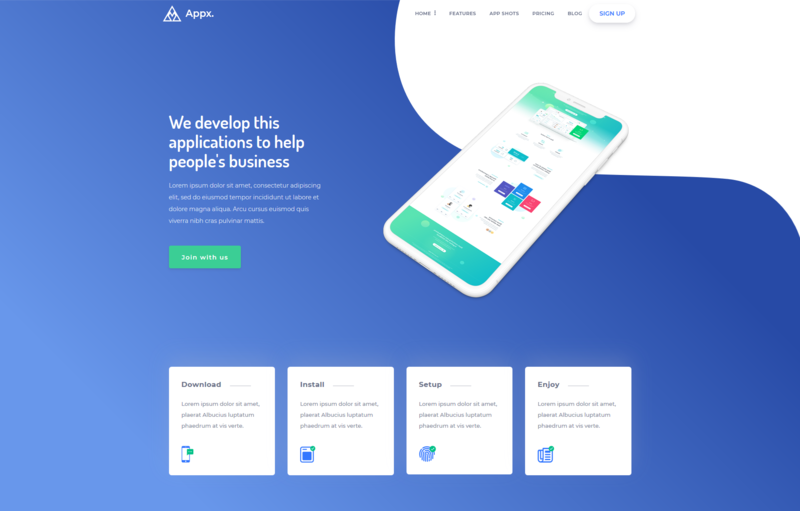 Appx is built with the most popular frontend framework Bootstrap version 4.1.1. Do you have an App? - If the answer is yes, then this template has been designed for you. It has been created for your app trades or promotions. It is very wonderful, inventive, light And clean. It's decorated with various app landing features. You will be easily able to customize it for your needs. Hi, does this template has the image source in Photoshop files?